I remember it like it was yesterday. It was late August, 1994, I was a newlywed coming up on my 2 month anniversary and just landed an office job after working in the retail world. To say I was ecstatic was an understatement. Monday through Friday, 8 to 5 with holidays off?! That’s fabulous! No more holiday rushes, extended hours or inventory. What would I do all day at this job? No doubt, sit and answer phones and type right? In my mind, that is what I would be doing. I would hang my pictures up with a thumb tack on the divider walls surrounding my desk, which at the time were orange and blue, Go Bears! The vision of my future was clear as day. Fast forward two months later and I am in the midst of training on escrow closings, typing policies and asking myself, why can’t I remember what an ALTA statement waives and what it doesn’t waive? How can anyone ever remember it all? That being said, I am certain that a lot of people that come into this industry might not know completely what world they are about to submerge themselves into and how it will grab a hold of most of us and become something we are so proud of. We secure the American Dream! 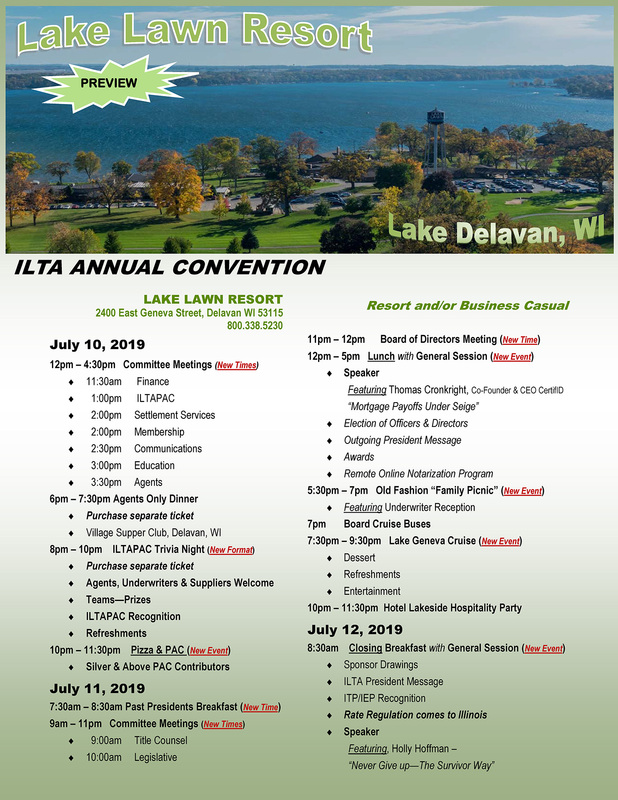 I started attending the ILTA Committee meetings when the designation courses were in their early development stages. The Education Committee wanted to do more to help the title professionals in the State feel as professional as the others sitting amongst us at the closing table, to give the industry another source for education and get back to face to face instructors. They have accomplished that and more through these courses. I have received both my Illinois Title Professional Designation and Illinois Escrow Professional Designation. After being part of the Industry for 20 years, I still found so much value by attending the courses. If we know anything at all, it’s the fact that things are ever changing and there is always more to learn. Whether you have been a part of the title family for 1 year or 25 years, you should consider becoming a Designee. You won’t be disappointed!